Botanical teacups… celebrating spring blooms! About a month ago when delicate shoots started poking up out of the ground, I was challenged by my UK agency to create some kind of surface pattern or greeting card with a “modern floral” theme. This is what I came up with! 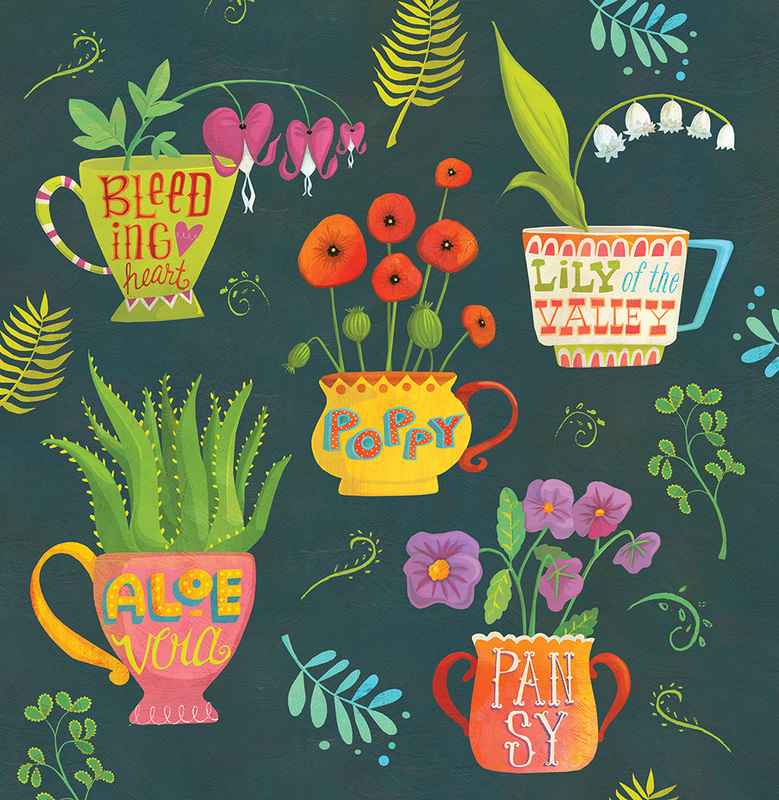 It was fun to give each little plant its own special teacup and own style of lettering, and to play around with the idea of a repeating pattern. I’d love to see this on wrapping paper, tote bags, tea towels, etc…. and will see about having it included on some products in my Society6 shop and as prints in my Etsy shop, Janey’s Superette. Phone cases and skins in my Society6 shop! Here’s something I’ve been meaning to do for awhile: I’ve just uploaded a whole lot of single initial designs for phone cases and skins to my society6 shop! All designs are available for iPhone 3 up to 6, iPod Touch and Galaxy in Slim Case ($35) and Tough Case ($38) as well as in skins for iPhone and iPod Touch (only $15!). I’ve been working my way through the alphabet… If your initial isn’t shown yet just add a request in the comments and I’ll get cracking! UPDATE: I just realized Society6 has free worldwide shipping today! Whoo-hoo! I See Me! 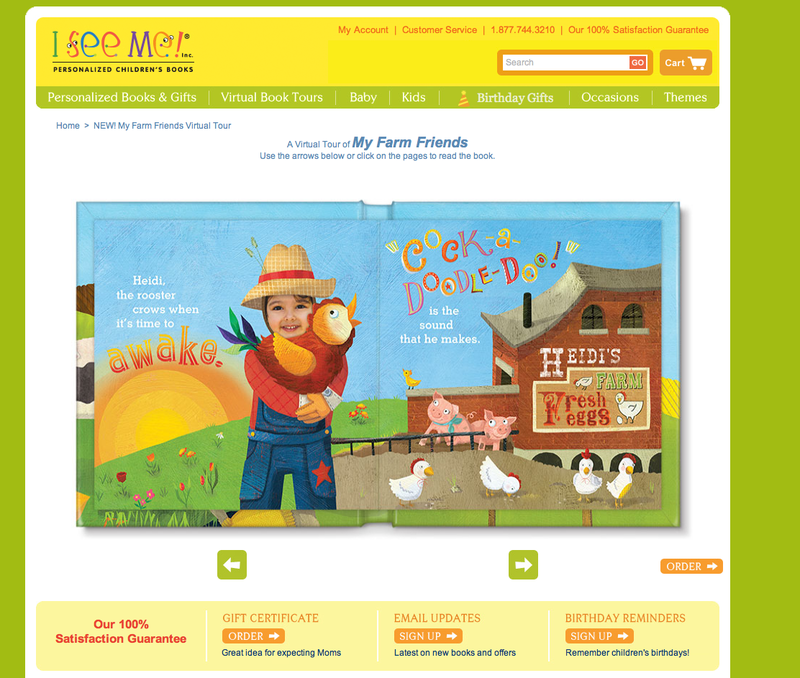 creates fun and fabulous kids’ books that can be customized with the child’s name and often their photo too. 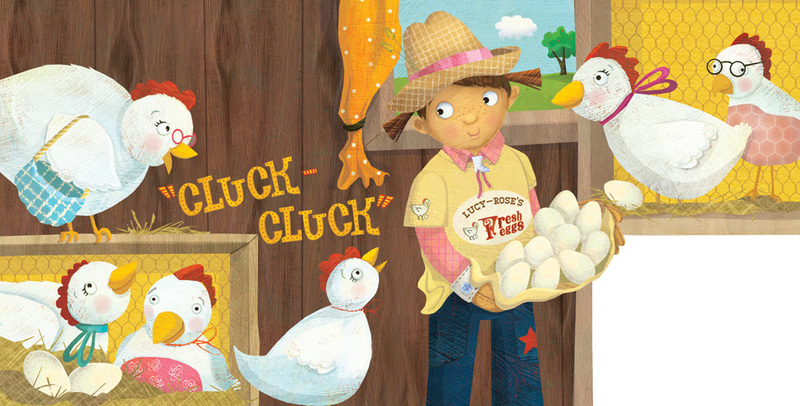 I was hired to create a new book set on a farm. It was so much fun! They wanted some custom typography for the animal sounds, and the various signs around the farm. The “face import” feature was a challenge – I had to allow for a photo of the child to be incorporated into the illustration so needed to make the poses and the outfits work with any gender or ethnicity or face shape that might be submitted. It was a bit of a mind-bender and thankfully I See Me! has amazing coders on staff who picked up where I left off and pulled it all together. Shown here I’ve inserted an illustrated face, but also see below a screengrab from iseeme.com where you can see how a photo of an actual child is incorporated. 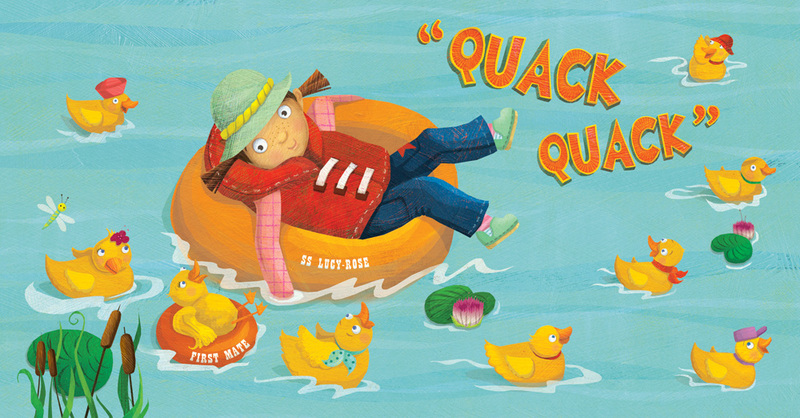 I’m super excited to order some copies for some little kiddoes I know! Oh, and there are stickers, lunchboxes, puzzles and a colouring book available, too.